Adding many form representations, the individual representation widgets - rendered next to each other - overlap the form representation toolbar buttons (depending on screen width). The overlapped widgets' remove buttons are not usable. This may or may not be a problem in CI, too, where the resolution seems to be at 800x600. Lydia_Pintscher removed Lydia_Pintscher as the assignee of this task. 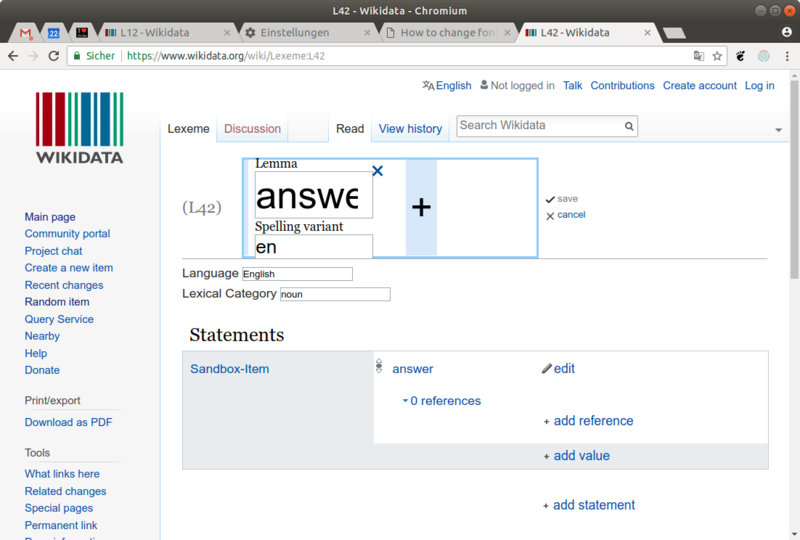 Lydia_Pintscher moved this task from incoming to features/bugs for later releases on the Lexicographical data board. 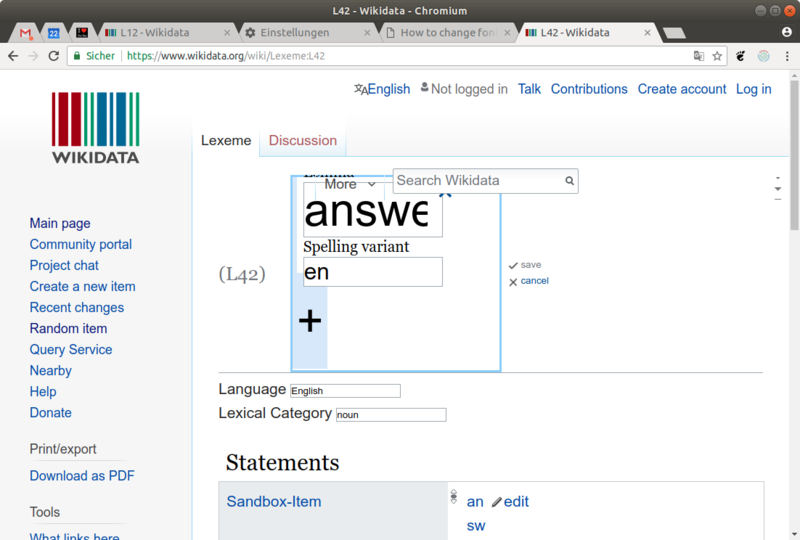 This looks meh but my assumption is that people won't encounter this often because most Lexemes have one or two Lemmas. Depending on screen resolution this situation can occur way earlier. Pablo-WMDE added a subscriber: WMDE-leszek. 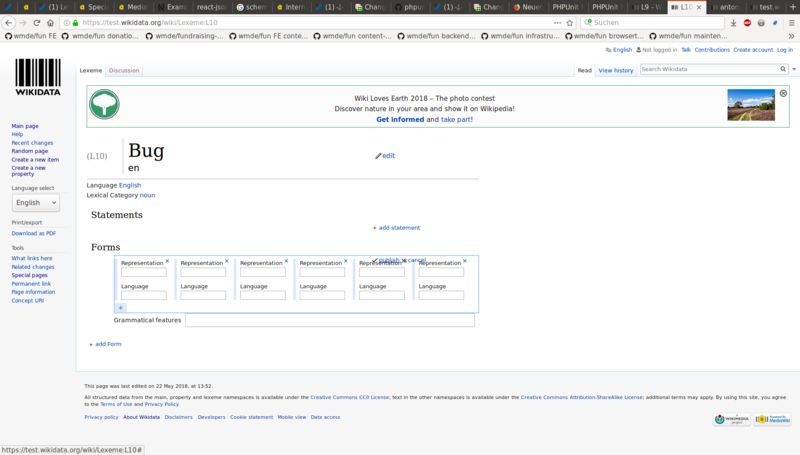 Pablo-WMDE moved this task from To Do to Doing on the Wikidata-Editor-Experience-Improvements-Iteration1 board. 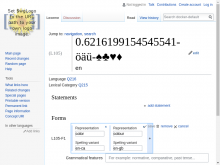 One remaining issue: For me the "Lemma" in the second row still overlaps the input box of the first row. Is there anything we can do about that? We looked at it together in person. 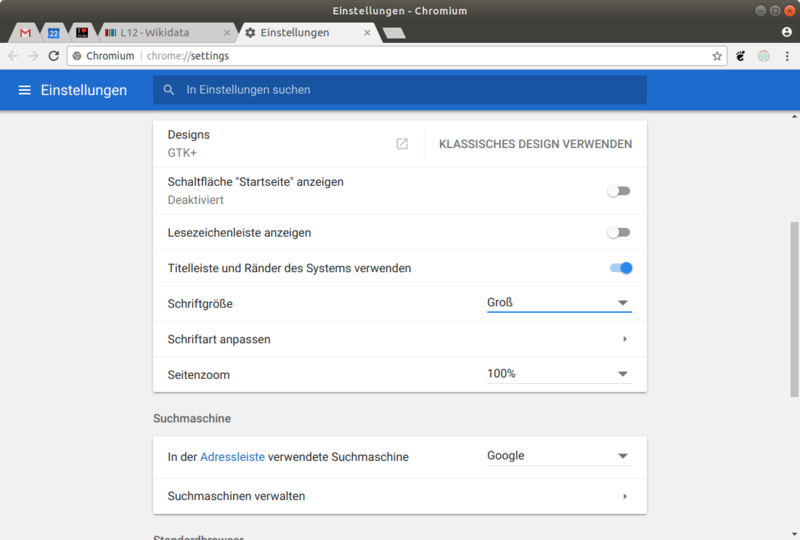 Result: on beta, in Chromium. Reload didn't change anything. This is mildly disturbing but interesting. 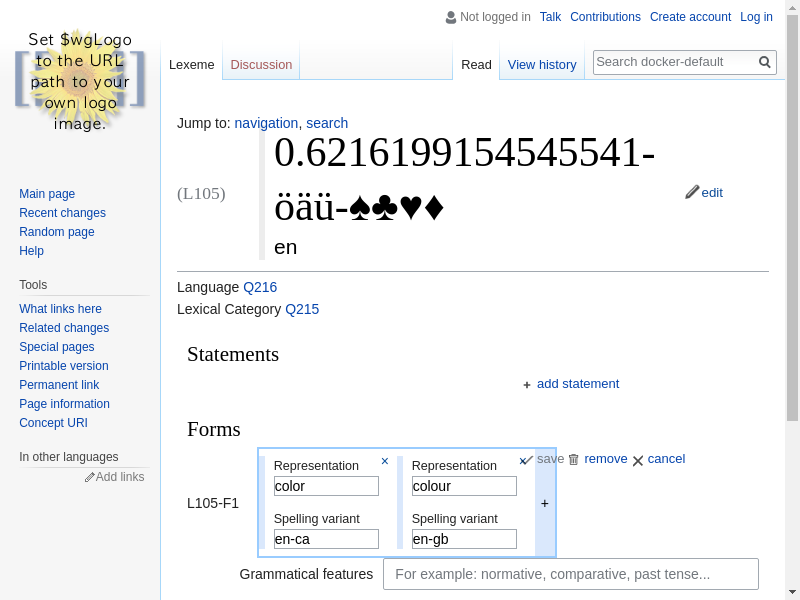 Lexeme header editing happens all within the page's h1 (T196228), hence a serif font is used (font-family: 'Linux Libertine','Georgia','Times',serif;) - depending on which one is actually installed this could yield different values for font-related dimension (em, ...). I'll look into that a bit. @Lydia_Pintscher Does the same thing happen in production already? Becuase, if so, it's - strictly speaking - not part of this ticket. Seem to be able to produce a similar effect by changing the base font size of the browser. Pablo-WMDE moved this task from Doing to Test (Product Review) on the Wikidata-Editor-Experience-Improvements-Iteration1 board. Lydia_Pintscher moved this task from Test (Product Review) to Done on the Wikidata-Editor-Experience-Improvements-Iteration1 board. • Vvjjkkii removed Lydia_Pintscher as the assignee of this task. CommunityTechBot added a project: MW-1.32-notes (WMF-deploy-2018-07-10 (1.32.0-wmf.12)). CommunityTechBot assigned this task to Lydia_Pintscher. CommunityTechBot renamed this task from dicaaaaaaa to [UI glitch] Representation widgets overlapping toolbar buttons when too many.